When it comes to mail, I think a personally written letter, note or card is much more personal than an email. No offense to the person who invented email, but snail mail is a lost art these days that ought to be brought back. I love to write. I had numerous penpals when I was a young person and still keep in touch with a few today. I have some really amazing greeting cards to show to you today and the company that makes them is also truly amazing. Future Oxygen is a company that offers products that are based upon the improvement of the environment. All of Future Oxygen's products can be planted (yes, I said planted) after use and then grow into beautiful plants, flowers, grasses or trees. Thus, the name "Future Oxygen". Using things now, then putting them into the earth to "create" more oxygen! "Two people started this company believing we could change how you think about cards and the environment. In 2009 we added our ecowear line. Our desire is to create eco-friendly works of art. Each premium product is designed to be 100% biodegradable. Every piece is unique because it supplies the world with future oxygen, having the ability to grow flowers grasses or trees. Every day we strive for quality and to minimize our effect on the environment in our processes and raw material choices. If you want to help the planet, you are ready for our company. All FO2 products are 100% biodegradable, including the packaging and are available for gifts, personal use, awareness, school/club fundraisers and as promotional items. A portion of our proceeds are donated through GreaterGood.org to support breast cancer awareness, animal rescue and support of the environment." Cut off any metal piece. (If you return the metal piece to Future Oxygen, they will reuse it in a future piece and send you a coupon for your next purchase!) Soak the pendant and cord in water overnight. Gently pour the dissolved mixture on the ground or in a dirt-filled pot. Lightly cover with 1/4 inch of loose soil. Keep evenly moist until seedlings are well established. Germination time is 1 - 4 weeks. Soak each card in water for 24 hours. Tear up the card and plant the pieces under 1/4 inch of loose well drained soil. Keep evenly moist until seedlings are well established. Germination time is 1 - 4 weeks. The pendants are really cute as well. There are many different ones to choose from. My favorites are the Mother/Child and the Three Flowers pendants. Both of these are filled with wildflower seeds and both of them support breast cancer research! Very good causes. So, in my opinion...Future Oxygen is a company that offers truly unique and amazing products! I definitely would endorse them to anyone...especially for that amazingly difficult-to-by-for person on your Christmas list!!! Visit Future Oxygen and tell me which of their products you would love to win. You do not have to be a blogger to enter, but you must have a valid email where you can be reached should you win. If you do not leave an email address, it must be where I can easily find it. This giveaway is open to US residents and will end 12/30 at 11:59 pm EST. The winner will be chosen using random.org and will be notified by email. The winner will have 48 hours to respond, or another winner will be selected. 6. Blog about this giveaway. Leave a comment with a link. 2 entries, so 2 comments. Disclaimer: I received no monetary compensation for this post. 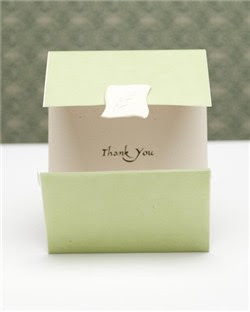 I did receive free box of Wheat Boxed Stationary Thank You Cards for review purposes. All quotes are from the Future Oxygen website and email. All thoughts and opinions are mine. I would love to win their birthday cards although they are sold out now. I really like the buttercup stationary. I like the Peace Flower Keychain and the Dragonfly Pendant. I like the Dog keychain. I'd love to have their large box of 12 A2 Asian Symbol Stationery Note Cards. I follow via GFC: allibrary and am an e-mail subscriber. I like the Celtic Cross Pendant. the asian symbol stationary cards are cool! IV7 Ultimate Germ Defense Winners! Winter Friends Wednesday Blog Hop! ANOTHER Pampers Gifts to Grow Code for you! Free Herbal Candle from Beauty Herbal Spa! Eco-Me Review and 20% OFF Coupon! Have You Walked Down Candy Cane Lane Yet??? Free Baby Slings!!! HURRY! Supplies are limited! The Week Of Christmas...Meet More Friends!!! My Christmas Cards Are Here!!! The North Carolina Barbecue Company WINNER! Blooming Buddies In The Garden WINNER! The Christmas Cookie Cookbook Giveaway! Namaspray Yoga Mat Disinfectant Winners!! Yet Another New Pampers Gifts To Grow Code!